A Computer is an electronic machine which is being used for many applications. The computer major parts are input devices, CPU and display monitor. There are various input devices such as mouse, keyboard, scanner, webcam and so on. But, the computer mouse is considered as a major input device which is used frequently while working with computer or laptop. Mice are classified based on different criteria. 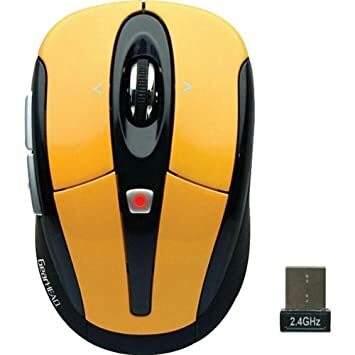 A few types of currently available mice are a PS/2 connector mouse, USB mouse, Wireless tilt wheel mouse, 3D mouse, Mechanical mouse and so on. As a special case we discuss about the wireless tilt wheel mouse in this article. What is a Tilt Wheel Mouse? Tilt wheel mouse is an input device used to give input commands to the computer. The tilt wheel is generally made of rubber or plastic material and this tilt wheel is used to scroll the cursor or pointer on the computer monitor. These tilt wheel mice are again classified into two types: wired tilt-wheel mouse and wireless tilt-wheel mouse. 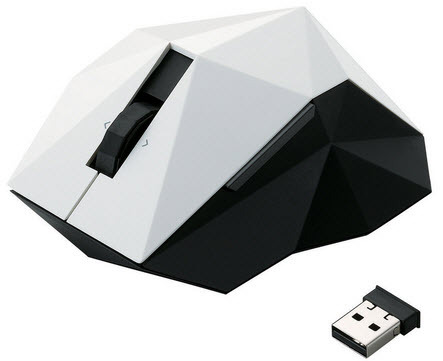 The wired tilt mouse is the regular mouse which consists of the tilt wheel for pointer or cursor movement and the wired connection between the computer and mouse like PS/2 Communication connectivity or USB connectivity. It is similar to the normal tilt wheel mouse in functioning, but here the input commands from the mouse are sent wireless using the built-in transmitter in the tilt wheel mouse and these input commands are received by a small receiver device in the computer. These wireless tilt wheel mouse with transmitter and receiver can be easily designed by ourselves with the basic knowledge regarding the functioning of the tilt wheel mouse. The wireless mice are generally preferred for laptops because of its ease of remote control operation. 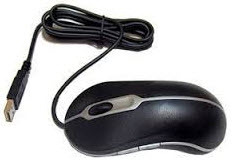 The mouse tilt wheel is the major part of the tilt wheel mouse which is used for controlling the computer’s function by scrolling the mouse tilt wheel up or down or left or right quickly and accurately. The mouse tilt wheel can be rotated forward and backward for the movement of the pointer or cursor up and down. The wireless tilt wheel mouse requires a built-in transmitter for transmitting the commands and a receiver device attached to the computer or laptop for receiving the input commands. The working of the wireless tilt wheel mouse can be understood by the working of the wireless transmitter and receiver. Consider the frequently used optical 2.4 GHz wireless tilt-wheel mouse for understanding the working of the tilt mouse. The wireless transmitter circuit of the tilt wheel mouse consists of five blocks: transmitter block, 9S12C32 microcontroller, power supply block, input buttons and an optical sensor. The power supply block is used for giving the power supply to the wireless mice, generally two AAA batteries are used for power supply. The two input buttons left and right are used for giving input commands. 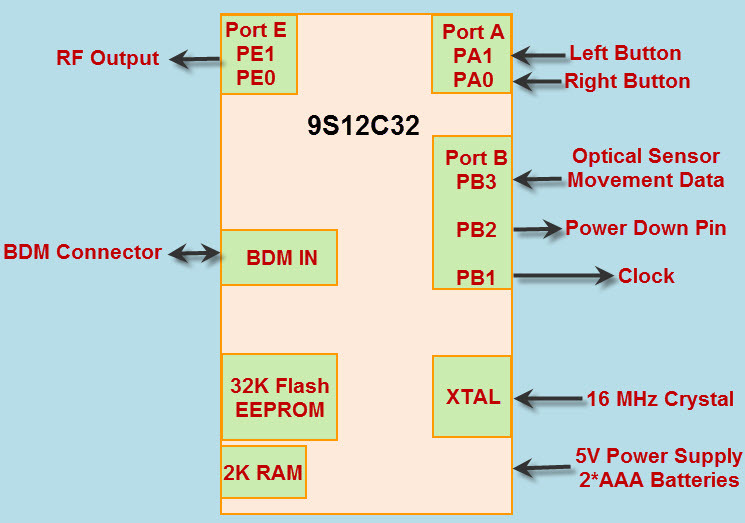 9S12C32 microcontroller is used for controlling the tilt mouse. The optical sensor is used for taking thousands of tiny images of the surface per second for detecting the movement of the mouse illuminated by a red LED. The microcontroller is used for processing and encoding the data produced by the two input push buttons and an optical sensor of the tilt wheel mouse. The encoded data can be transmitted to the receiver over free air by converting into 916.48 MHz RF signal using the frequency shift keying modulation with the RF circuitry, as shown in the functional block diagram of the tilt wheel mouse transmitter. 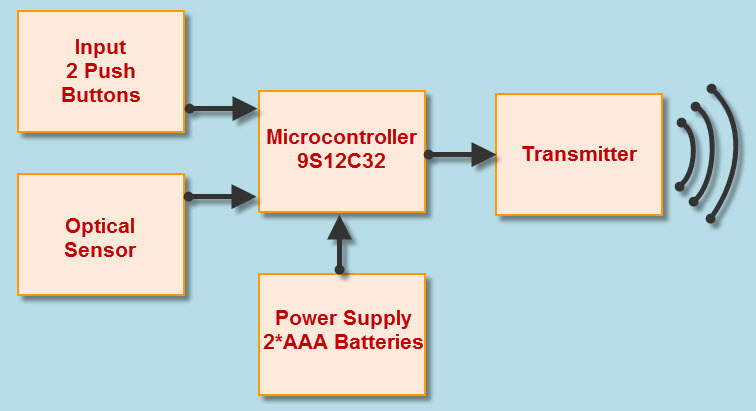 The receiver circuit of the tilt wheel mouse consists of four blocks: receiver, 9S12DP256B microcontroller, USB adapter and computer. An integrated circuit is used for implementing the RF receiver circuit which is used for receiving the signal sent from tilt-mouse transmitter and demodulate the received data. By demodulating and amplifying this received data, data is sent to the 9S12DP256B microcontroller for decoding purposes. A compatible protocol with all major operating systems, namely Microsoft Mouse Protocol is used for converting the decoded data into mouse data. 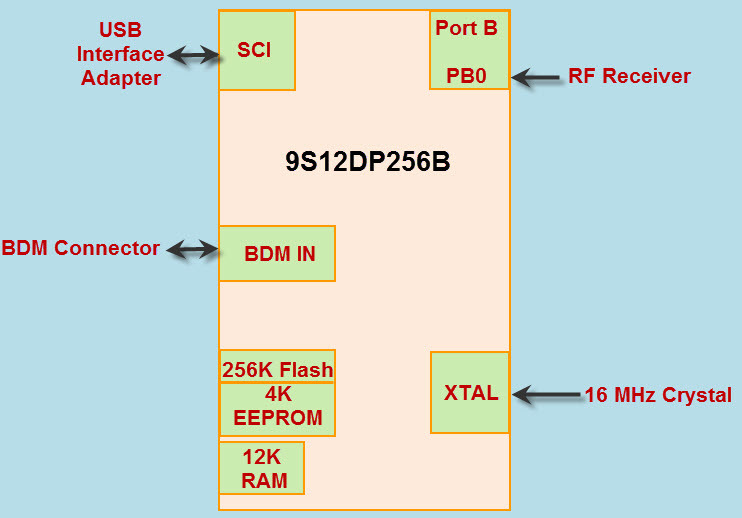 The three byte length data packets are sent to the computer via USB port using a USB adapter which is interfaced between the computer’s USB port and microcontroller. 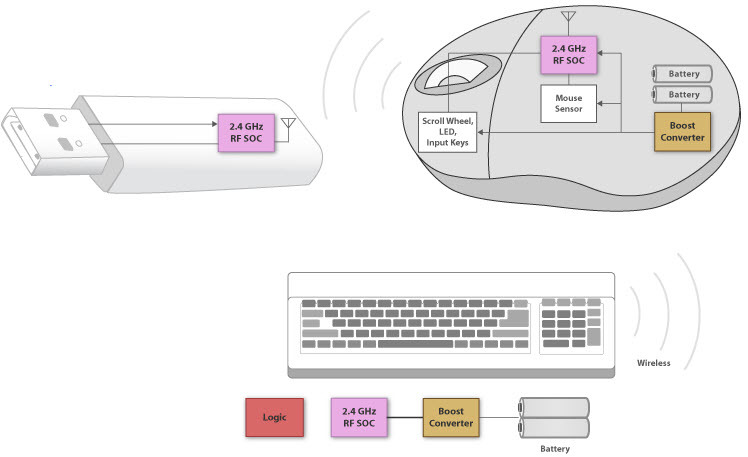 If the nano dongle wireless receiver of wireless mice is connected to the computer, then the system will detect the tilt wheel mouse automatically. There will be light indicators for indicating the connectivity between the tilt mouse transmitter and the nano dongle receiver. A special indicator light can be used to give an alert to the user for replacing the batteries. Optical technology is used by the tilt wheel mouse for scanning the computer desktop at up to twenty eight inches per second. 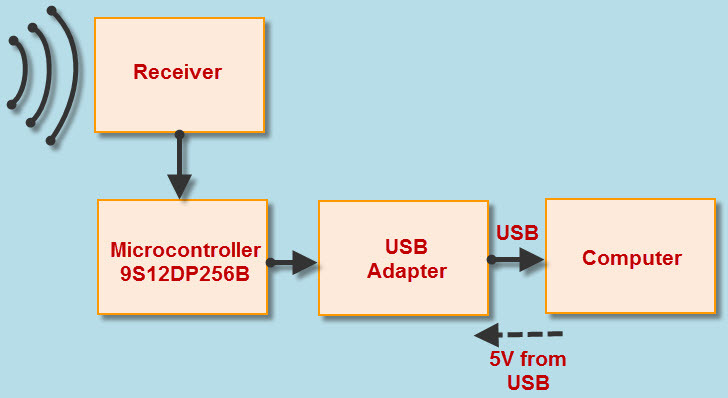 Thus, every movement of the tilt mouse and the scrolling of the mouse tilt wheel will send the input commands to the wireless nano dongle receiver fixed to the computer USB port such that the controlled operation can be performed after receiving the commands accurately. This accuracy will exist up to 30 feet distance between the wireless mice and receiver fixed to a computer or laptop. One of the most available input devices in the present digital market of computer accessories with maximum accuracy is an optical 2.4 GHz wireless tilt-wheel mouse is used by achieving wireless communication between the computer or laptop and wireless mouse input device to give input commands by scanning the desktop of the computer at up to 28 inches per second. The wide range of operation up to 30 feet distance can be achieved using wireless technology at 2.4 GHz wireless connectivity. The receiver will look like a nano dongle which will fit flush into an available USB port. A Wireless tilt wheel mouse is used for moving the cursor by moving and scrolling the tilt wheel of the mouse to give input commands wirelessly up to certain distance range. In case of optical 2.4 GHz wireless tilt wheel mouse this distance will be up to 30 feet between mouse and computer or laptop for accurate operation. The wireless mice are used for translating the motion of a mouse directly into the changes in the virtual camera’s orientation. The wireless tilt wheel is majorly used to perform the controlling operations in gaming devices or machines or computer games. Wireless mice wide range of applications where wireless input commands are intended for the system. It is majorly used for laptop applications because of its ease of operation and better user convenience. Are you aware of the applications of different types of mice with more advanced technologies and increased features? Please post your comments and suggestions for improving this article technically to help us give a detailed information to the readers.